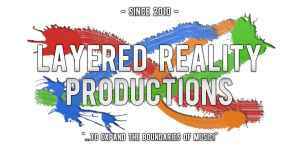 Layered Reality Productions is a non-profit music label that focuses on Progressive, Symphonic and Avant-Garde Metal. The main goal for LRP is to provide artists and bands with services which enable them to fully unleash their musical potential without any limitations or creative obstructions. LRP prides itself in its musical diversity, harboring intense bands such as Dimaeon & Sense Vs Sanity, but also Avant-garde acts such as Adeia & Insolitvs. But there is also room for melodic acts such as Mind:Soul & TDW and even the symphonic stylings of Nyx Aether and Unforeseen Motion have a place in the broad LRP spectrum. Do you have a Press-Related inquiry, or do you want to be a part of our press mailinglist?